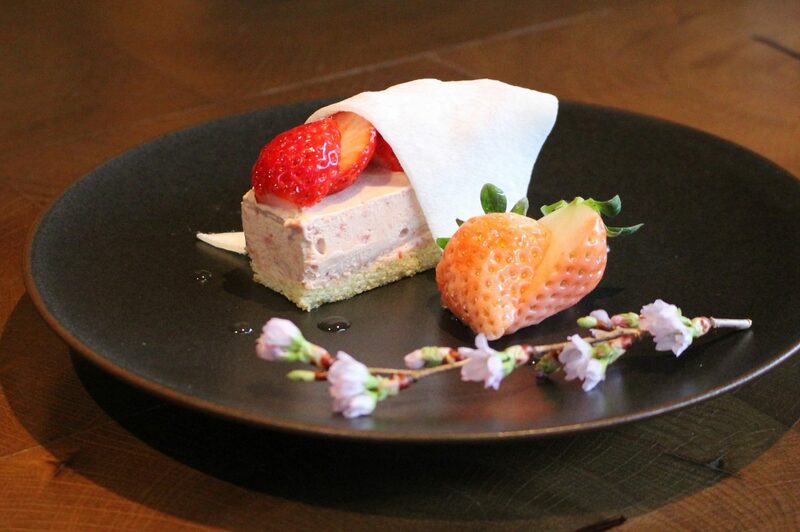 This special spring dessert will only be available during the sakura season! It has a cute pink color along with a fluffy blanket of soft mochi. The semifreddo melts in your mouth giving off a nice sakura aroma and strawberry flavor. The combination of white and red strawberries add to the beautiful presentation.